The Humble Biryani. A work of art whose origins are overshadowed by a blanket of mystery. Regardless, let’s take a moment to cherish the legend who decided to mix meat with rice and spices. Eid is right around the corner. And the fragrance of the multi flavoured rice cooked with spices, vegetables and meat is enough to draw in anyone nearby. Getting biryani right isn’t everyone’s forte! Luckily for you, we have the 10 best biryani-serving restaurants in Goa. As the name suggests. If you’re ever in a hurry and in need of good biryani, then Biryani Cottage is for you. 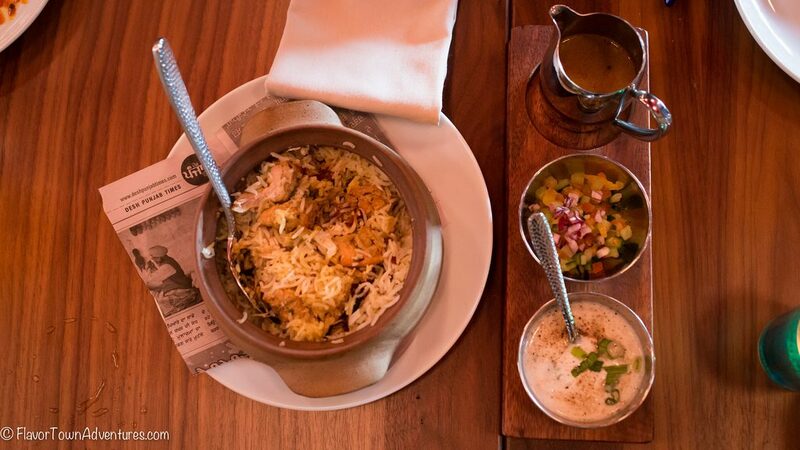 Their biryani merges the orange fragrant rice with the zesty sauce ,something we have absolutely no problem with. Expect spoonfuls of gravy-like biryani infused with morsels of mutton and onions. In the mood for some mutton biryani? You’re in for a treat. Quiet literally. Prepared in the ‘Malabar Moplah style’, Latitude’s mutton biryani is sure to remind you of the coastal south with its flavors. Highly recommended for any ardent foodie. 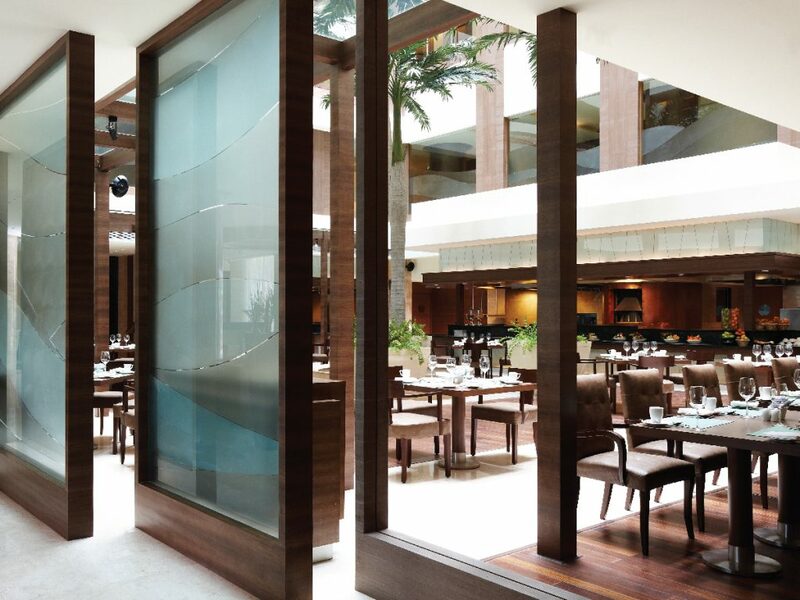 The restaurant itself has a very inspiring interior and exceptionally great service. Expect high rates though. Food corner is a small Indian restaurant in Ponda that serves Punjabi and North Western cuisine. It is known to be serving phenomenal mutton and chicken biryanis that leave a memorable taste in the palate. 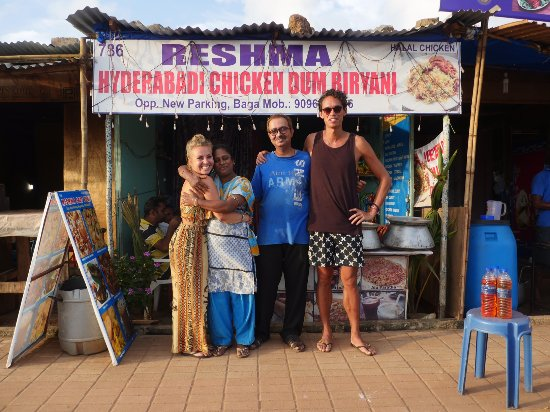 What Anjuna’s Dum biryani restaurant makes the best is pretty self explanatory. At Dum Biryani’s the meat is marinated in traditional spices for 4-5 hours before it is added to the already heated handi. Over this, the rice with spiced yogurt is added. Now, both the meat and the rice are slow cooked in the juices of the meat that is loaded with spices. Many die hard biryani fans argue that Hyderabadi biryani is the only biryani worth eating. Well, may be if you tried Reshma’s biryani from her home-style restaurant in Baga, you’d end up saying the same. So if you’re craving for some home-made Biryani made with love and the perfect blend of spices, go grab a plate from here at Rs.120. Located in the bustling commercial city area of Panjim, Delhi Darbar’s Biryani is the place to indulge in authentic Punjabi and Uttar Pradeshi flavours that sing melodiously from the tender chunks of well cooked meat sitting amidst perfectly seasoned rice. 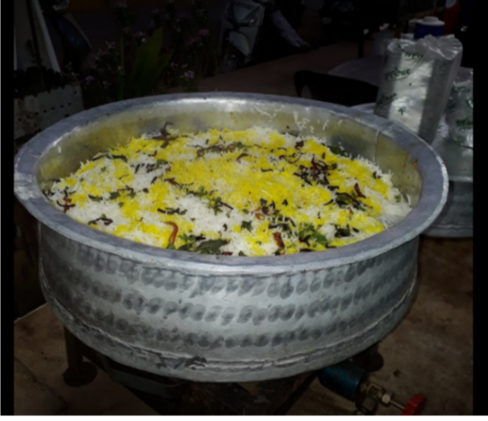 Besides the biryani and the complimentary salads, chutneys and raitas, tunday kebabs and seekh kebabs are also some of the other delicacies served here. A meal for two is approximately about Rs 700. Hidden inside a rather shabby exterior. Sartaj, warmly welcomes its patrons inside. 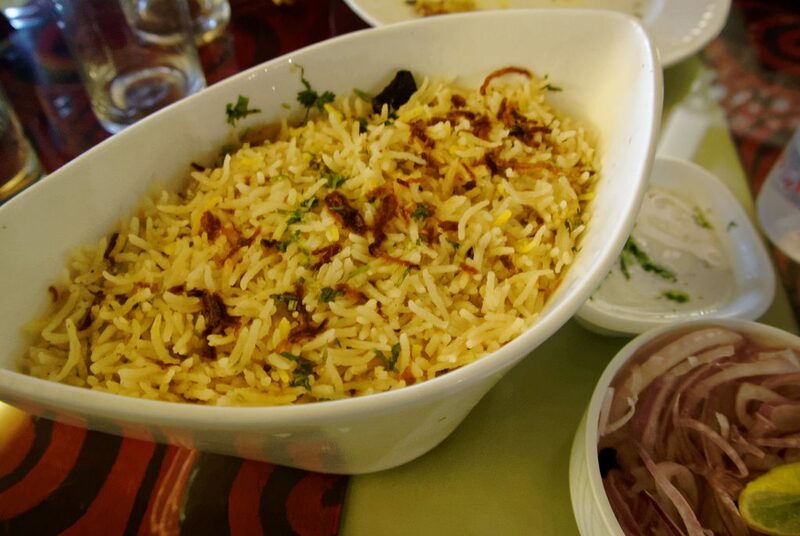 If you are a biryani lover, then Sartaj is a place worth checking out. The biryani is available after 12.30 pm until it is wiped out. As funny as it may sound, you really do have to rush here if you want a taste of their famous biryani. Served fresh in sumptuous single-serving hot-packs. Address : Shop No. 26, Ramakant Apartments, MG Road, Santa Inez, Panjim. Niyaaz is a takeaway restaurant that’s rather small. But don’t let its small size food you. It has glass fronted kitchen with skewers of kebabs ready for the barbecue. Priced at Rs 250 for mutton and Rs. 230 for chicken, the biryani is packed in neatly vacuum-sealed packets, ready for take away or delivered to your doorstep promptly. They call their biryani a ‘Belgaum Special’, the biryani is lighter on spice, the rice pale and almost white but extremely fragrant, with spicy pieces of meat scattered generously. Pair it with an order of Mutton seekh kebab and a Royal Falooda and you have meal fit for a king. If you’re anywhere around Margao, Shagun is the one unanimous choice of every localite there for Biryani. 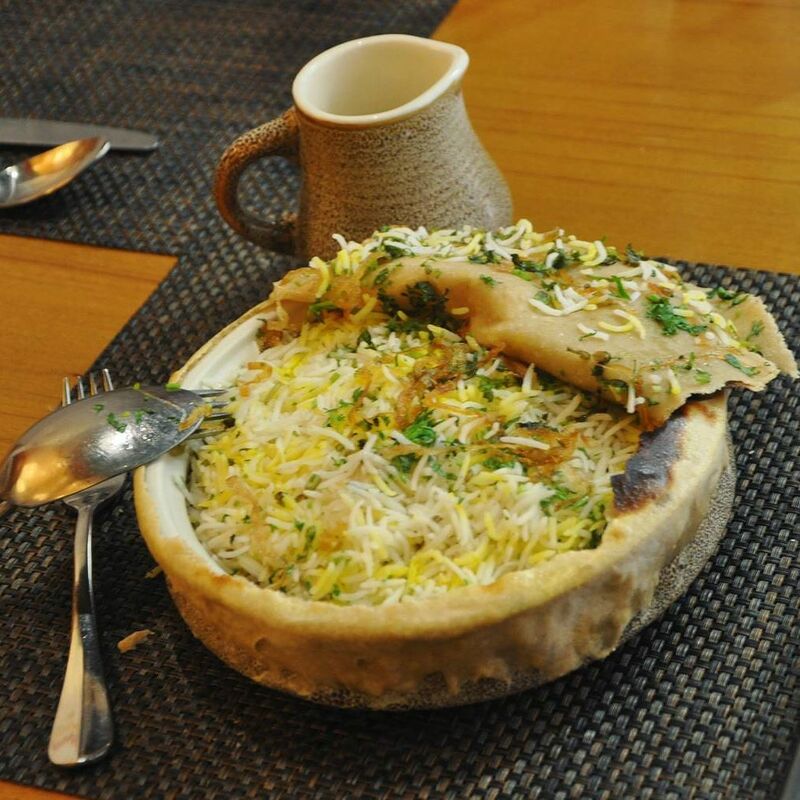 Be it dine-in or a bulk takeaway, Shagun’s biryani is simply lip smacking and always on demand. 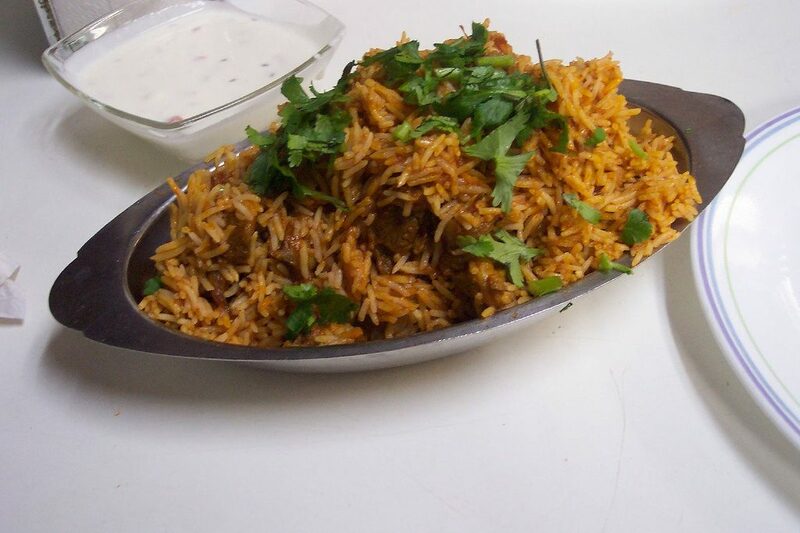 Their Chicken Dum Biryani is one of the most popular dishes. But wait! The best part is its price. For the taste that it offers, the price is very much lighter on your pockets. A meal for two costs about Rs 350. Address-Old Station Road, Opposite Kamat Milan Lodge, Margao, Goa. 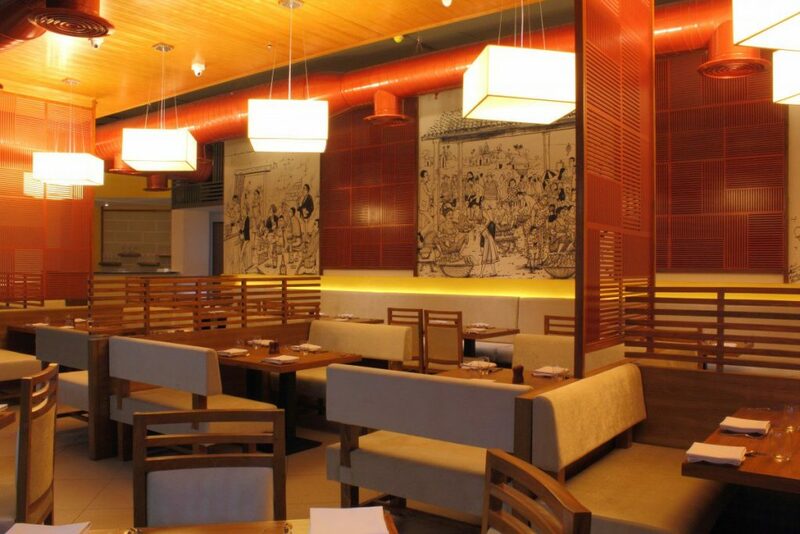 Sanjeev Kapoor’s restaurant ‘The Yellow Chilli’ made its debut in Goa last year. Needless to say, one can safely expect a quality experience here. The Yellow Chilli’s biryani recipes are a blend of both Mughlai and Awadhi styles of cooking and they have transformed the result into a perfect blend of spices, meat and rice., The taste of their Kolkata biryani is also absolutely delicious and worth coming back for. Beautiful furnishings in muted tones, soft music, combined with an exquisite use of glassware and cutlery seamlessly set the tone for a fine dining experience. To top it all the service is on par with the best across the world. Although their prices can be quite daunting, it’s definitely a must-try. 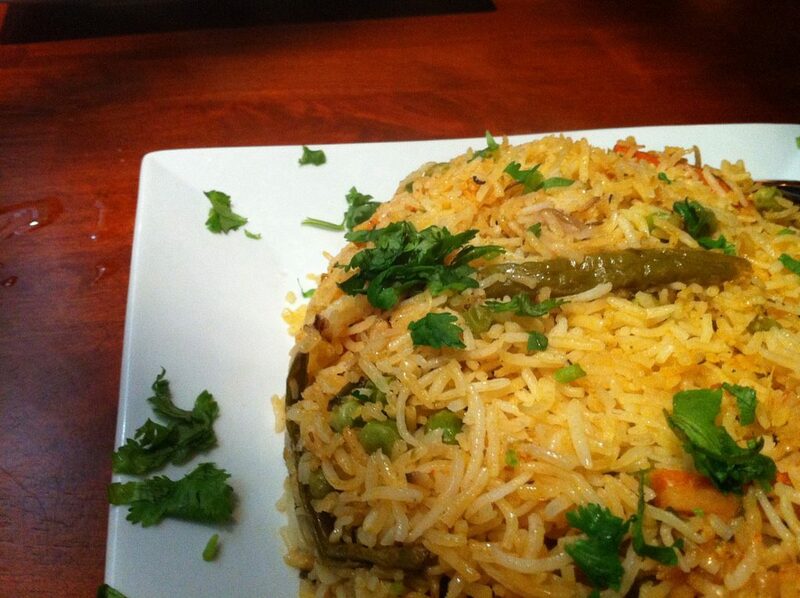 We hope you find your perfect plate of biryani no matter where you are. Check out the Lokaso app for more great content, all about Goa.